We went to see GotG2 this weekend, and I was a blast. I have been itching to rewatch the first movie, but since I only have it digitally, I haven’t watched it. Though the two movies are incredibly different, the second definitely scratched my itch, and I left the movie pretty darn happy with what it entails. Please note; though the ending won’t be spoiled, I’m going to drop a bit into spoiler country in this, so I highly recommend seeing the film before reading this. In GotG2 we start with Peter Quill’s parents. We see his mom, carefree and happy, and his dad, Kurt Russell. Russell’s character is showing Ms Quill something he planted, but we don’t really see what’s goal is. TFW you’re about to drop the hottest album this side of the galaxy. We get opening credits while the crew fights a massive, gross beast together, and baby Groot dances around. It’s a cute opening, and there’s a lot of fun juxtapositioning as Groot is chided by each of the characters. After they kill the beast, they go to collect their reward from the planet that hired them. Their reward is Nebula (Gamora’s sister). She is kept in shackles on the ship as they promise to bring her to where her bounty is highest. Regrettably, Rocket has stolen the batteries that they were just protecting, and the planet sends a fleet after them. They get away, but only because of a stranger saves them. He lands where they land and it’s Kurt Russell’s character, Ego! 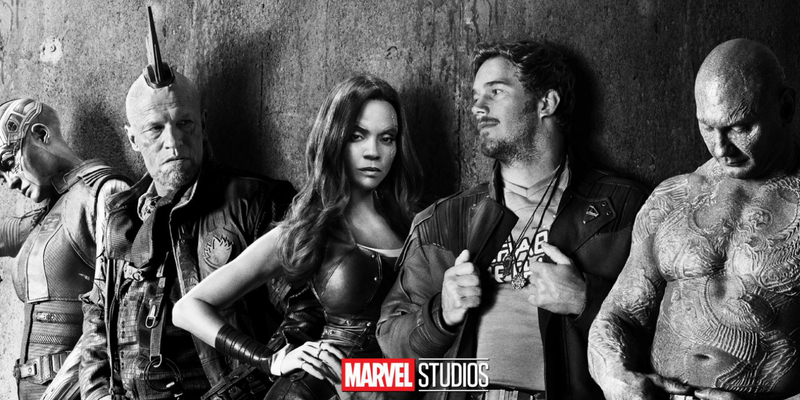 Ego claims fatherhood to Starlord, so Draco, Gamora, and Starlord all go with him to his planet. 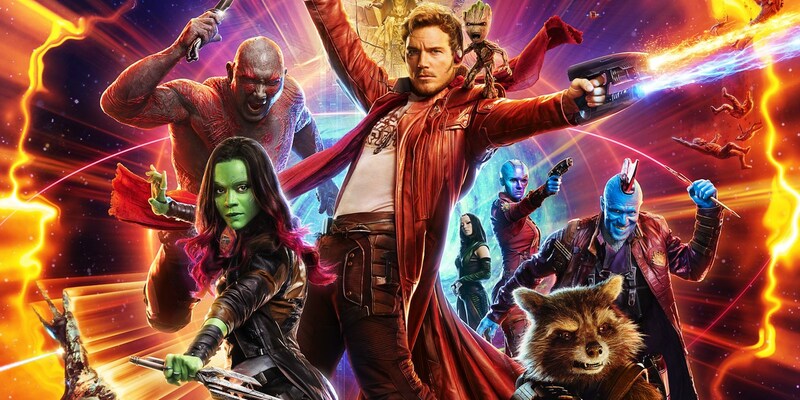 While Gamora struggles to feel like the planet is safe for them, and Drax kind of flirts with Mantis, Peter / Starlord learns a bit about his father, and how he has scoured the galaxy looking for him. He also tells Peter that they are both Celestials; god like planets that can create things with relative ease. Back at the ship, Yondu & his ravagers have attacked Rocket, and they were pretty close to killing him when Yondu halts them; he wants Rocket to stay alive. 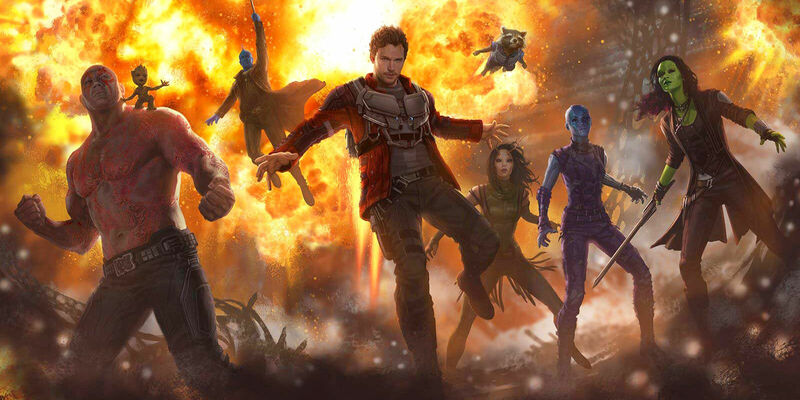 Then Nebula, who was released by a frightened Groot, hurts Yondu & lets the ravagers mutiny. They’re brutal and cruel as they take out frustration on crew members still loyal to Yondu, and Yondu himself. That’s as far as I’m going with plot stuff, because a whole bunch of spoilers happen with relative speed and I really think you should see this movie. While I had a blast watching this, it wasn’t the first one. I feel that this bopped around to 2-3 plot lines with speed throughout a good portion of the movie, and seemed less organized in that than the first one. I did have a lot of fun watching it, and most of that was because of Drax. There is some peak Drax that happens in this movie, and a lot of it is because of Mantis. Both being unfamiliar with metaphors and social conduct in some cases make them a fantastic duo. Drax definitely made this movie. I hate to say it, but I didn’t really like baby Groot. It seems like he has been given the Minion treatment; the higher ups saw that we latched on pretty tightly to Groot in the first film, and put this baby (who honestly doesn’t do a ton for most of the movie) in the spotlight. It didn’t work for me. But there’s a bit where Starlord is trying to find some tape for Rocket that kind of surrounds baby Groot, and that is fantastic. Also, teenage Groot in one of the five post credit scenes is freaking fantastic. Altogether, I really enjoyed this movie. It hits similar notes to the first, but it definitely doesn’t fall higher than the first. If you get a chance, I recommended the big screen so you can really take in the incredible colors in it.